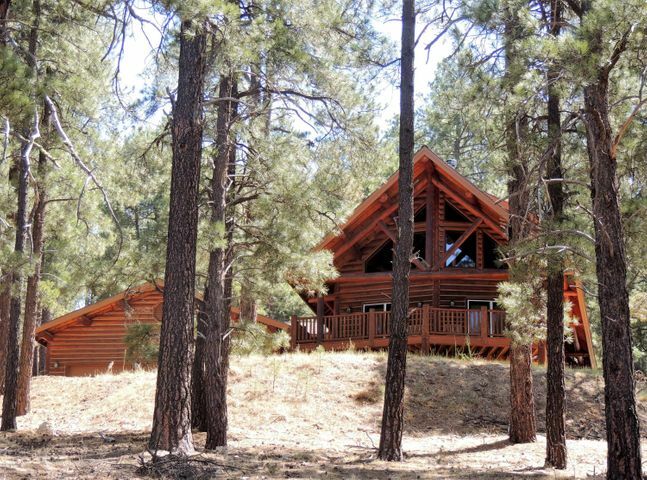 A modern, log home in the unique 5+ acre minimum lot size, gated community of Highland Meadows of Flagstaff. 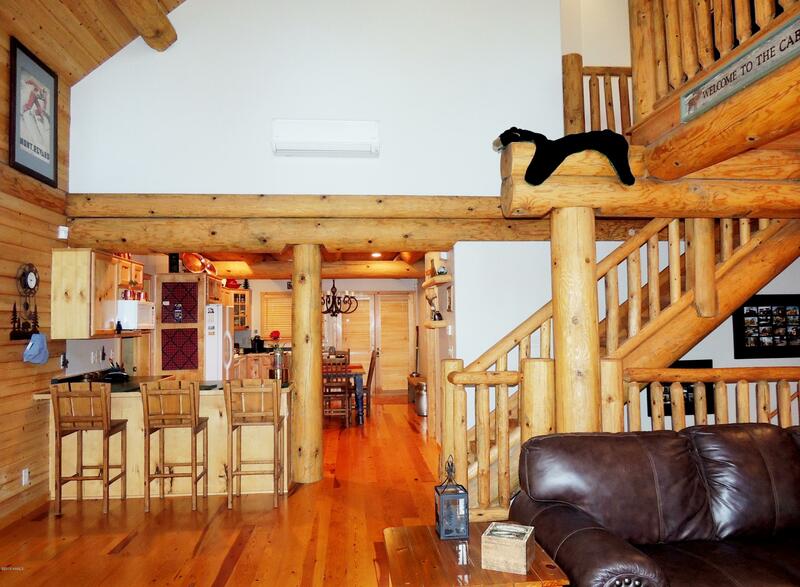 Highland Meadows is a hidden gem of luxury country living. 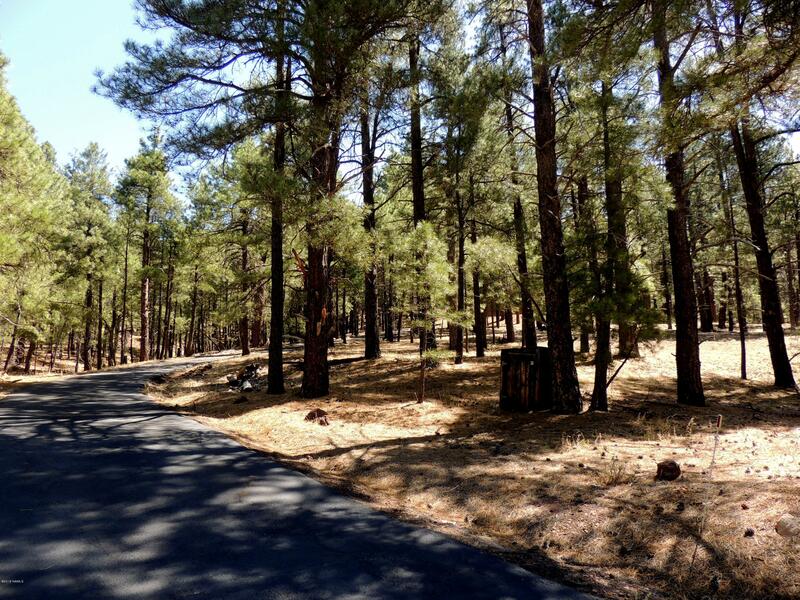 Paved roads, utilities (no hauling water here! 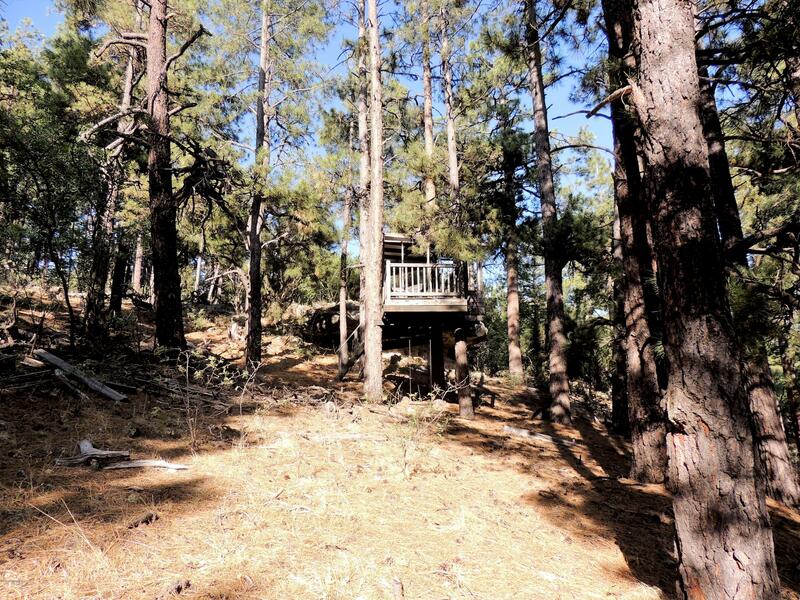 ), winter accessible, rural yet only 7 miles south of Flagstaff. Fire and medical is less than a mile away. This home backs miles of National Forest. 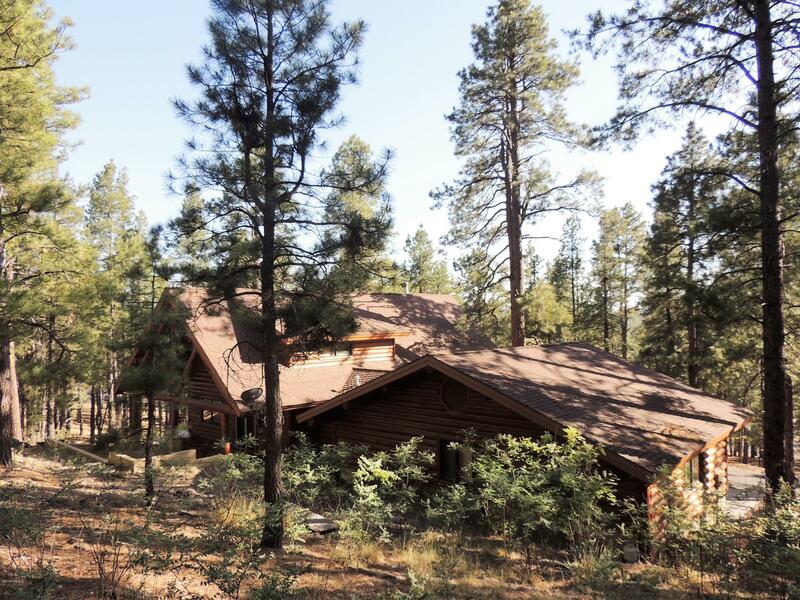 Northern Arizona Horse Stables are approximately 1/2 mile away, offering riding lessons, trail rides, and horse boarding. 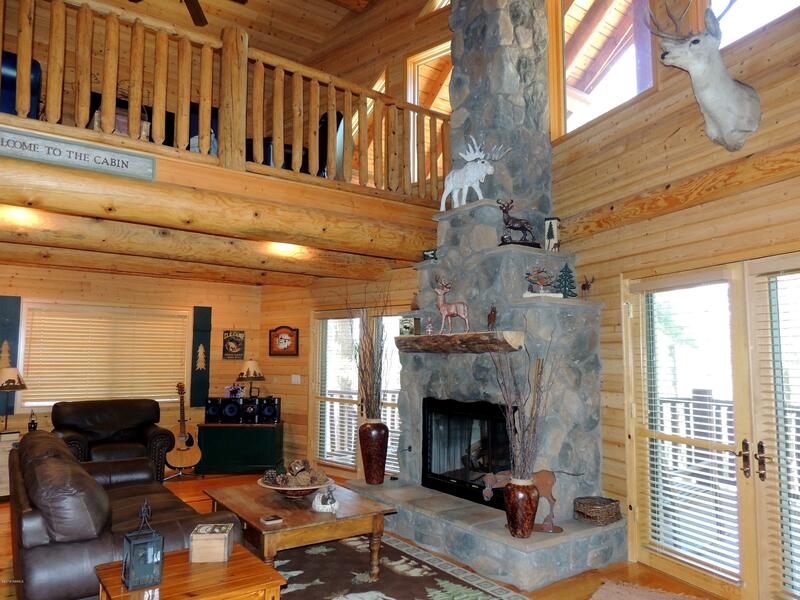 This home is designed for comfort and entertaining large gatherings of family and friends. 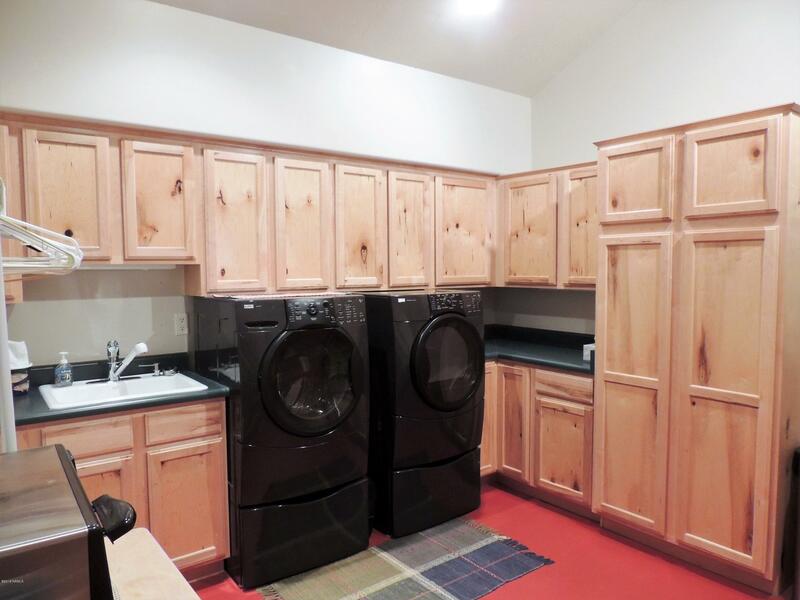 Plenty of room in the 5 bedrooms and 3 bathrooms. Air Conditioning Unit with remote control cools the home. 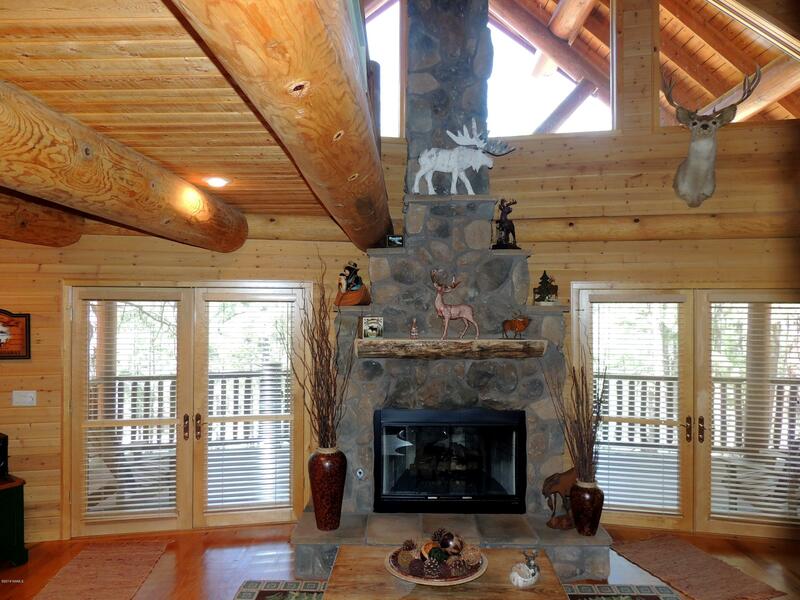 Beautiful woodwork, wood wrapped windows, wood flooring, large logs and beams throughout. 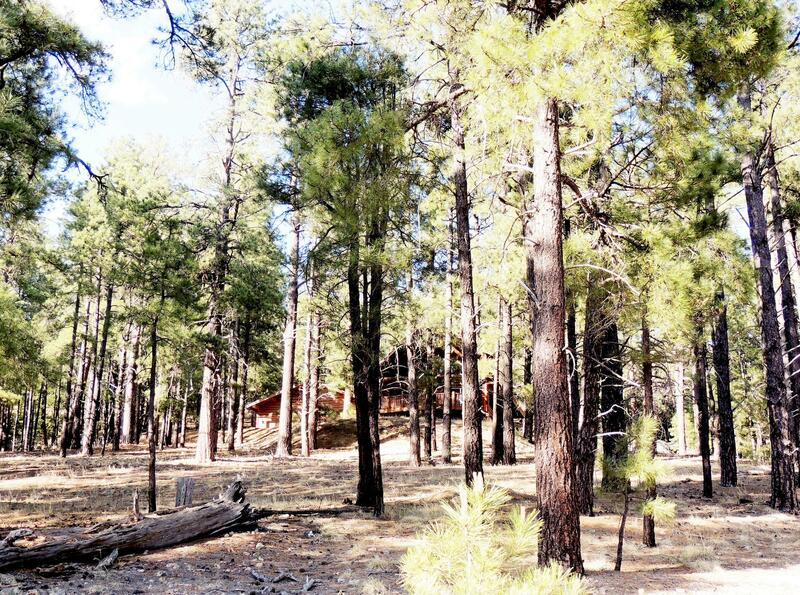 Directions: From I-17, take Exit 333 (Mountainaire/Kachina). Go East .5 miles on Mountainaire Rd., then left on Old Munds Highway, approximately .7 miles. Call agent at gate. 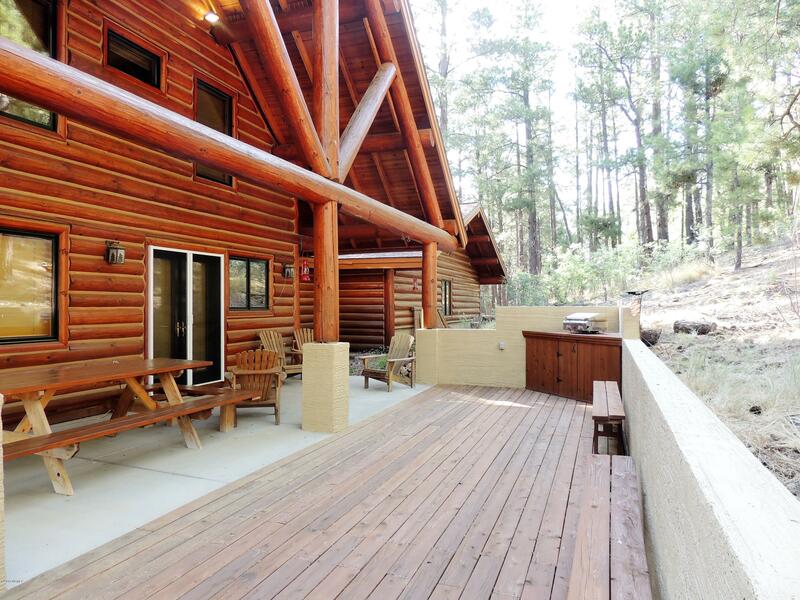 Spectacular, panoramic forest and mountain views from every room, including fantastic sunsets, from the large deck. 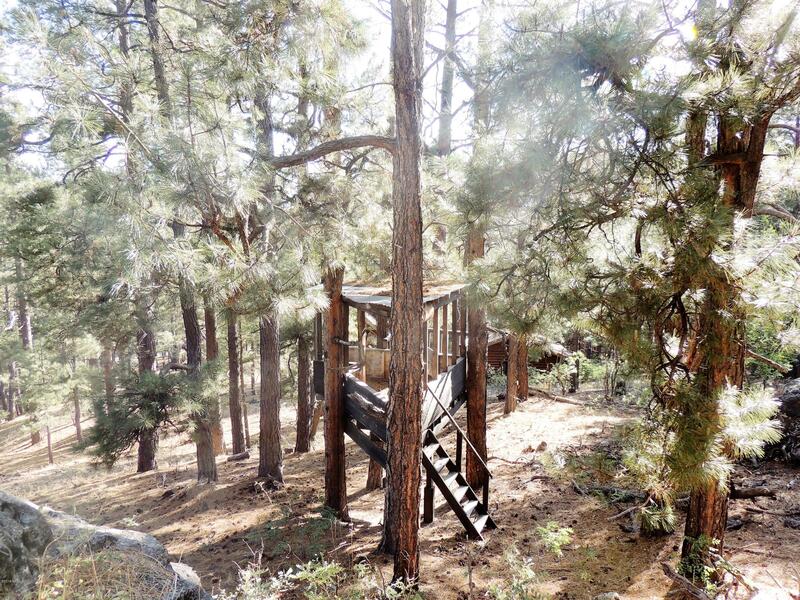 The land includes huge rock formations and a tree house. 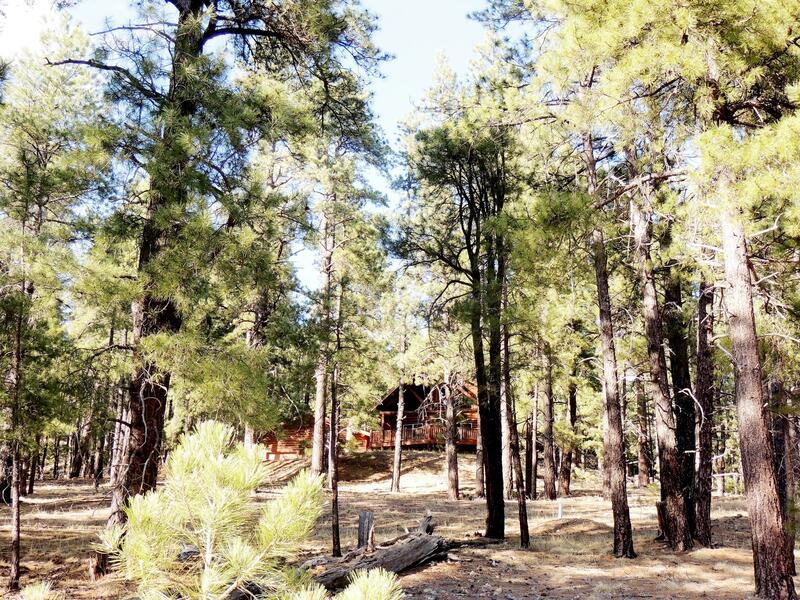 Endless natural beauty abounds for wildlife watching, miles of forest trails for hiking or perhaps horse back riding via the nearby Northern Arizona Riding Stables. 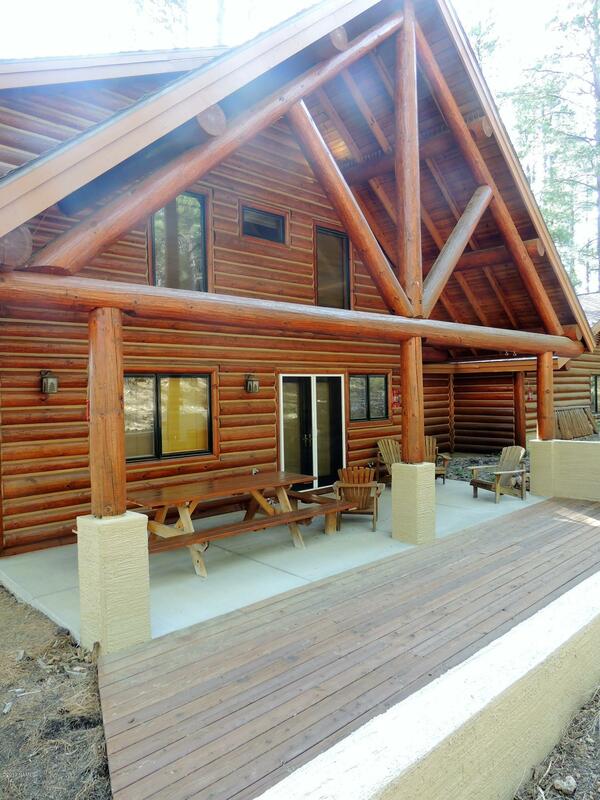 A perfect Mountain retreat or full time residence.